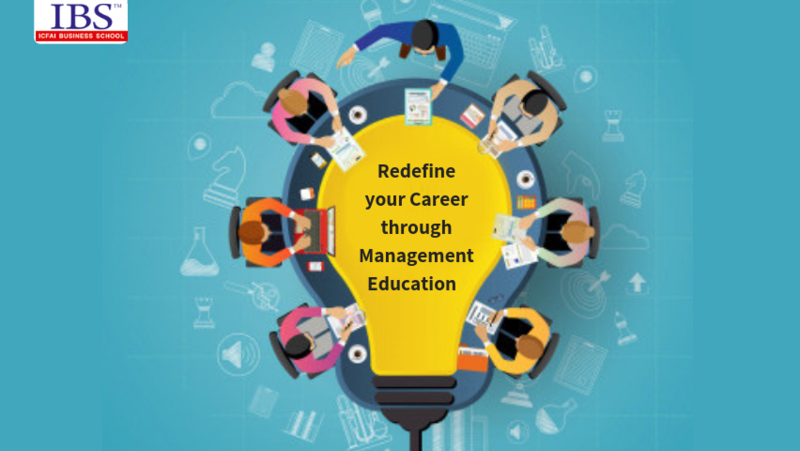 Management education has become a highly desirable field in the modern times, not only for the students who are fresh out of colleges, but also for professionals who are aiming to add value to their careers. The charm of management education relies in the fact that the management education does not apply to only one type of career once they have completed the course. Also, a wide variety of fresher’s and seasoned professionals from diverse backgrounds are welcome to the management education where they are upskilled on a variety of areas to create a set of well-rounded transferable skills. Career stagnation with limited opportunity for growth: A lot of times, a professional realizes that he or she is being passed over for promotions and he is not considered to be able to handle a senior profile. This perception may be formed because the said professional does not possess the right qualification. This can cause a feeling of frustration and helplessness for the individual leading him or her to become dissatisfied from the current job and organization. This can easily be fixed by going for a management education course which can create movement in the career by broadening the person’s skillset and open new windows of opportunity. To make the most of it, the individual is advised to undergo a full-time, regular or executive management course of one or two years in a related or same field (such as Marketing, Operations, Human Resources Management etc.) Staying in the same or a related field helps the individual leverage the work experience accumulated before the management course. Moving into a field with better prospects, and alignment with interests and strengths: One of the major benefits of management education is the heightened awareness that the management course creates within the students. The management education is very much intertwined with the business world and therefore it helps the students get a greater understanding of the business world and organizations. The students also build powerful networks which can help him or her maneuver their career to a direction that he or she wants. For this purpose, it is recommended that he or she goes through a full time MBA course from a leading business school of India or abroad. There are many competitive examinations that they can prepare for such as CAT, XAT, GMAT, NMAT by GMAC, SNAP, IBSAT etc. Acquiring skills that are required for future leadership positions and assignments: It is not a secret that the business schools put a lot of emphasis on building the soft skills and leadership competencies in their students. This is especially true for the top B Schools in India such as IIMs, XLRI, S P Jain Institute, Symbiosis, IMT Ghaziabad, MDI Gurgaon, FMS Delhi and ICFAI Business School. These institutions have different focus areas and they approach the curriculum in a way that builds real life business skills. For example, the case based learning method used at the ICFAI Business School is very effective for the students to understand the pragmatic aspects of the real-life business situation. This is driven in the classroom through discussion and various facets of the case are exposed which puts the students in a decision-making situation, developing it in turn. Adding credibility to the resume due to unsteady existing career: A lot of times an individual has the skills and the intellect for the job, but his or her prospects there are limited since he or she lacks credibility. This usually happens when the highest qualification degree or diploma that the individual has is either too broad or generic and does not relate to the job that this person is applying for. The recruiters shy away from giving a call to this individual because the resume looks too shaky or does not inspire confidence. A full-time management education course can be a great testament to the knowledge and skills of the individual and can help him or her differentiate themselves in a competitive marketplace. The recommendation and advice here is to stick to the renowned business schools and pursue a course from there since the brand association can benefit the individual gain the confidence through association with these schools. The students will also be able to demonstrate a commitment towards self-development and a zeal for learning. With the above points it is evident that the management education has got tremendous value for the professionals who are currently dissatisfied with their career choices or simply wish to broaden their horizons. The last tip here is to ensure that they associate themselves with well-established business schools and do plenty of research to choose the right business school, reaping the maximum benefit of their education. This entry was posted by IBS Team . Bookmark the permalink.